A fresh business opportunity turned into a powerful impact for Romualdo bespoke tailoring shop. For 50 years, the tailors have been supplying local and national notables with luxe men’s duds unlike any other area competitor. With impeccable attention to detail and gleaming clientele relationships, the little blue door on Miami Avenue has truly made a name for itself. Now, for the first time ever, Romualdo is turning a new leaf in the women’s clothing industry with their latest collaborative campaign. 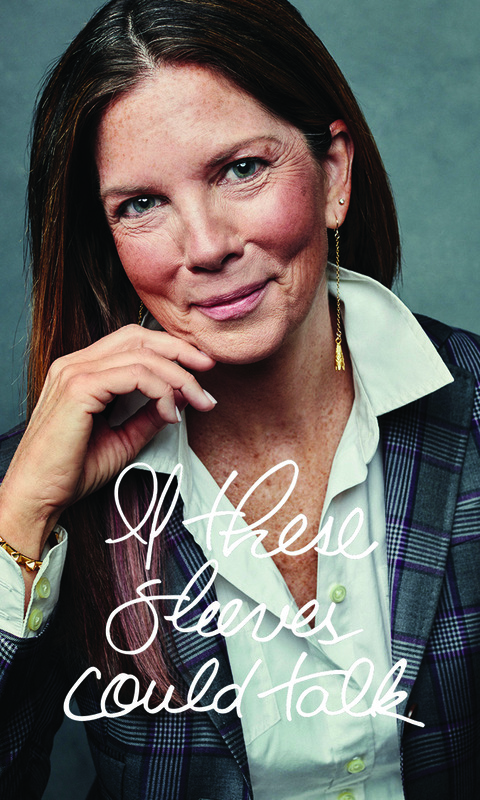 Throughout the campaign If These Sleeves Could Talk, Fallon Thatcher worked with Romualdo to create a narrative that provides women with the opportunity to sew voice, power, wisdom, and identity into the stitching of their jackets. 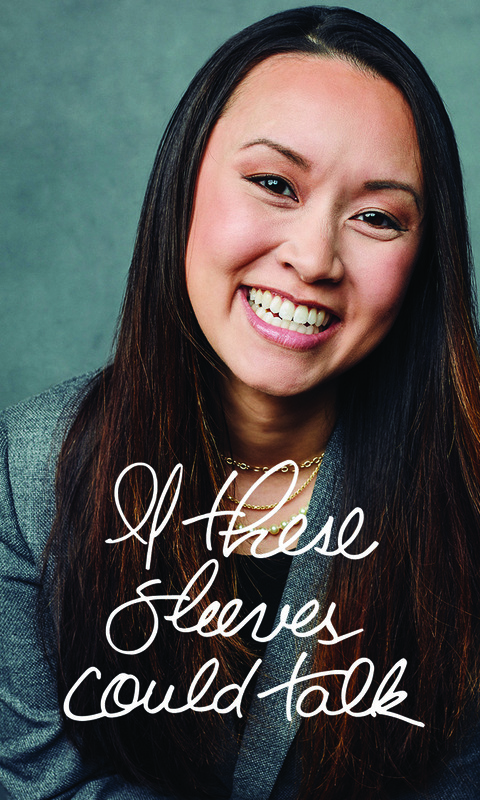 It prompts the provoking question, “What do these sleeves say about me?”. One’s sleeves have a front row seat to all of their decisions, the interactions one has on a daily basis, and more. The campaign features five leading ladies who were fitted for a custom jacket of their choice, answered individually tailored questions, and were given pseudonyms to describe their identities. We followed the journeys of “Modern Melodist” Mia Carruthers, “Madame Creative” Tamia Stinson, “Number Cruncher” Thanh Pham, “Powerhouse Mama” Michelle Jones, and “Rockstar Realtor” Olivia Johnson. From far left, clockwise: Thanh Pham, Michelle Jones, Tamia Stinson, Olivia Johnson, and Mia Carruthers. 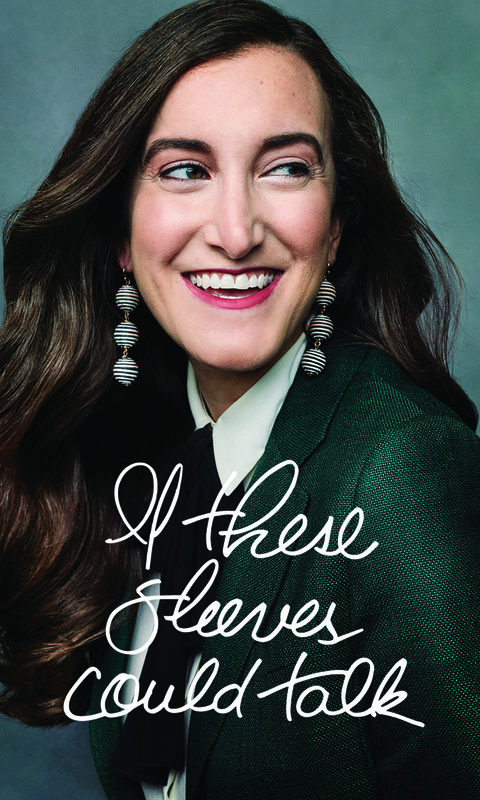 Though we already knew a lot about these influential women, it was incredible to join them in the process of learning more about their inner selves and seeing what their sleeves would say if they could indeed talk. Encompassing all of their strengths, passions, abilities, and preferences allowed Romualdo to produce five completely different jackets, each true to the women’s identities. As much as we do not like to generalize, we will say that women tend to be gifted with the intuition of style. No slew of colors, patterns, buttons, or swatches is any match for their keen sense of style. If prompted, women’s fashion has historically been fluid enough to dress an outfit up or down with the right pair of shoes. In this instance, the jacket serves as a major game-changer. Take Mia Carruthers’s jacket, for example: her choice of tonal grey is so sleek and simple, yet at the same time, it is quite the head-turner. Its jagged-peak lapels and striking red Bemberg lining are the complementary duo, and when paired with her signature patent leather Doc Martens, it makes her avant-garde piece perfect for her band’s next show or for her next client meeting. Blogger and realtor extraordinaire Olivia Johnson will also be striking envy all over town with her green blazer cut to opulent standards. Upon chatting with Johnson about her jacket’s features, she disclosed that the glimmering hue of green reminds her of how important it is to break through her outer shell and take risks that could lead to great opportunities. This constant reminder was the main reason behind her conspicuous choice of color. When Johnson wears her jacket, her confidence shines through, and Romualdo’s goal is for many more women to reap these same compelling emotional and practical benefits that a great jacket can provide. The evolution of women’s fashion is only the tip of the iceberg when it comes to what If These Sleeves Could Talk means for Romualdo. It represents an opportunity for the business to grow within the brand’s core proposition, while adhering to the same level of craft that has brought them their 50 years of glowing success. Every day, women are faced with “ready-to-wear” clothes that do not always fit the way that the wearer wants them to, and the dressing room showcases and epitomizes these flaws. Rather than simply show the wearer the clothing’s flaws in a 360-degree mirror, the dressing room at Romualdo is refreshing, because it addresses those flaws and perfects them. Sparking interest in custom-made jackets for women will be the key to their success in this upcoming chapter. One can tell a lot about a woman by the clothes that she wears. If she is wearing an original Romualdo blazer, onlookers will be able to see the nuances of her personality that she wants to show, not the ones that were factory-made for her and a few thousand others. Those who see her will be privy to a sneak peek into her soul and the heart that she wears on her sleeve: one that Romualdo helped to design especially for her. The bespoke tailor has a vision to create not only custom clothing, but an ongoing narrative prompting the idea that If These Sleeves Could Talk, they would have a lot to say. Fallon Thatcher was responsible for the creative direction, copywriting, storytelling, name branding, and press campaign. Special thanks to Aaron Conway for his beautiful photographs and to Leslee Smith Amann for her stunning hand-written script. Michelle Jones. Photo by Aaron Conway. Tamia Stinson. Photo by Aaron Conway.